Aki comes from a well off family and is known for her brutal treatment of men. As a result, she has gained the nickname "Cruel Princess" (残虐姫: Zangyaku Hime) from her classmates. 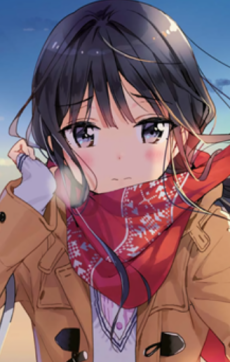 She allegedly rejected Masamune-kun and gave him the nickname "Piggy" when the two were children leading to his transformation and commitment to revenge. It was later revealed though that her hatred towards men is because her childhood crush Masamune left without saying anything which left her heartbroken. When Masamune finally confronts her about the past she tells him that she never gave him the nickname "piggy" in the first place, and never heard of that nickname before. As Aki learns Masamune's identity and situation, she attempts to make him the same chubby boy he used to be. Aki mentions that she found his chubbiness "cute" and overall as a symbol of wealth implying that chubby guys are her type.